ISO 9001 very popular standard are used by billions of people and millions of organization over the world, after success of the ISO 9001:2008 is revised with a huge impacts can be made in internal system of users of ISO 9001 certified. 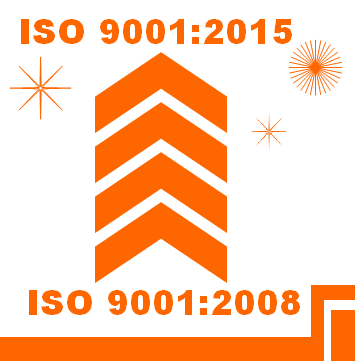 In ISO series of documents are used in various sectors, ISO 9001 Quality management system are over thousand of industries are follows from long time, recently awareness of standardization in industrial sectors that small scale industries are understand advantage of its and follows ISO 9001 standards. In Year of 2012 are ISO granted the approval for start the amendment of revision in standards ISO 9001: 2008 which can able to run effectively in industrial at least the next 10 years. All the necessary study & reviews are almost done by ISO team, further draft of the ISO 9001 updated also released, it can be download from ISO website too, but still ISO team working on revisions – under process that will be release as “ISO 9001: 2015”. ISO organization is timeline given in its website that indicates that end of the year of 2015 in September can be release; timeline is subject to internal purpose of ISO organization, like to focus on drafts that attention to users for preparation of ISO 9001: 2015. Clause 3 having structural revisions are found, terms & definitions incorporated annex SL in draft, that not mean draft should be same as on released, comments, opinion can reflect changes. Clause 4 are embed as context of the understand requirements of organization & Quality management system scope in industry, interested parties (included new in management system) needs & its requirements, expectations with organization & how QMS related with it, there is also clause are included to understanding requirements, scope & “continual improvement” , needs of process are focus on subjects. Clause 5 included for leadership & its commitment to organization to concern QMS & policies that comply the requirements legal, regulatory & statutory. Clause 6 is for planning of QMS with achieves them with rhythm of quality in organization that meets the requirements thought QMS for customer satisfaction. Clause 7 Support included for management the resource for QMS; it’s also focus on personnel awareness, personnel competence, communication & documented information, controlled on documented information. Clause 8 Operation – focus, gives understanding of needs of QMS can comply thought planning, controlled processes, in implementation & ensure for the same. Clause 9 performance evaluation – Monitoring, M.A & evaluation – includes the points that monitoring & measuring needs, methods to comply QMS system in organization. Internal audit that mirror of the whole QMS system that organization trying to established, maintain, requirements of the internal audits enhanced in draft QMS for continual implement. Further management review part is also incorporated which is under orientation. Clause 10 improvement – Now improvement in not continue improvement now its became continual improvement.. Focused on base requirements of systematic approach those implementation processes are being smooth, reliable & flexible for implement doers. ISO 9001 : 2015, hope we get the revised copy early as possible to QMS implement team are existed to read & apply for the same in organization, further good news is that can be implements in existing system. Scope: Scope of requirements should be expand for not only implement team thought about its organization only, its need to involve, take responsibility for suppliers & customer also, need to update, aware & monitor on customers, suppliers, interested parties & social.